President Emmerson Mnangagwa has felt Harare for Addis Ababa, Ethiopia where he will join other heads of state and government from the continent for the 32nd Ordinary Session of the African Union (AU). The AU summit has kicked off in Addis Ababa and will run up to Monday the 11th of February, under the theme: ‘Refugees, Returnees And Internally Displaced Persons: Towards Durable Solutions To Forced Displacement In Africa’. President Mnangagwa is accompanied by the First Lady Amai Auxillia Mnangagwa, Deputy Chief Secretary to the President and Cabinet –Presidential Communications Mr George Charamba and senior government officials. Foreign Affairs and International Trade Minister Retired Lieutenant General Sibusiso Moyo travelled ahead of the presidential delegation to attend the Ordinary Session of the Executive Council. The 32nd Ordinary Session of the Assembly of the Heads of State and Government of the AU will convene on the 10th and 11th. Before the summit, on the 9th, the AU is hosting the Africa Leadership Meeting focusing on investing in health. The meeting will be the first platform to bring together governments, private sector and the global development community, to coordinate and accelerate progress towards achieving universal health coverage. The meeting marks the launch of a new Africa-led initiative to deliver increased sustained and more impactful financing for health across Africa and Bill Gates, co-chair of the Bill and Melinda Gates Foundation, is expected to address the meeting. As part of the ongoing reform of the AU, there is a proposal to shift the portfolio for refugees and displaced people away from political affairs, where it is currently based. The move by Africa sends a strong message that opposes the global trend of dealing with refugees and migrants as a political and security issue. Zimbabwe is home to more than 11 000 registered refugees and asylum seekers from a number of countries including the Congo, Mozambique, Rwanda, Burundi, Ethiopia, Mali, Uganda and Somalia among others, some of whom are housed at Tongogara Refugee Camp. 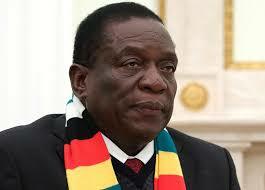 It there follows that the issue of refugees is clearly a concern for Zimbabwe as well as the continental body. The summit will also appoint a new AU chair who will succeed President Paul Kagame of Rwanda whose term is coming to an end this year. Egyptian leader Abdel Fattah el-Sisi is tipped to take over from President Kagame. President Mnangagwa was seen off at the Robert Mugabe International Airport by Vice President Kembo Mohadi, Minister of Defence and War Veterans Cde Oppah Muchinguri Kashiri, Chief Secretary to the President and Cabinet Dr Misheck Sibanda, service chiefs and senior government officials.